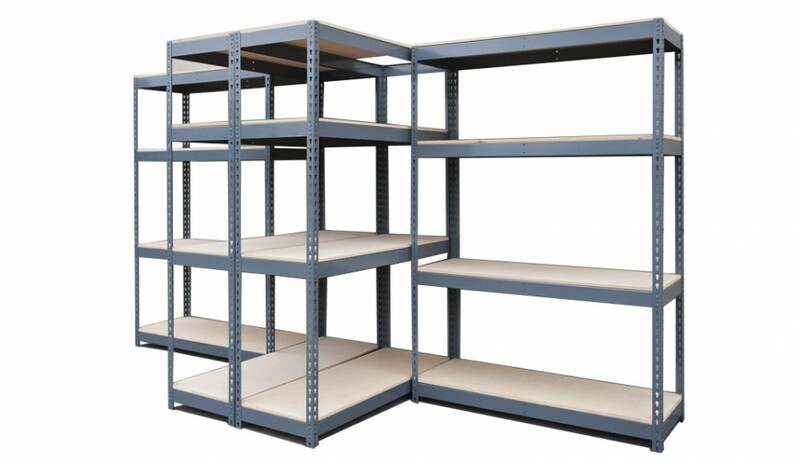 Easy to assemble office or commercial shelving. Do away with tools and easy-to-lose parts! Our new DR or “Double Rivet” range simply clips together using a rivet and keyhole system. The final result is very robust – once the protruding rivets are fitted into place they are snuggly locked in and will need a good knock from the underside to remove. 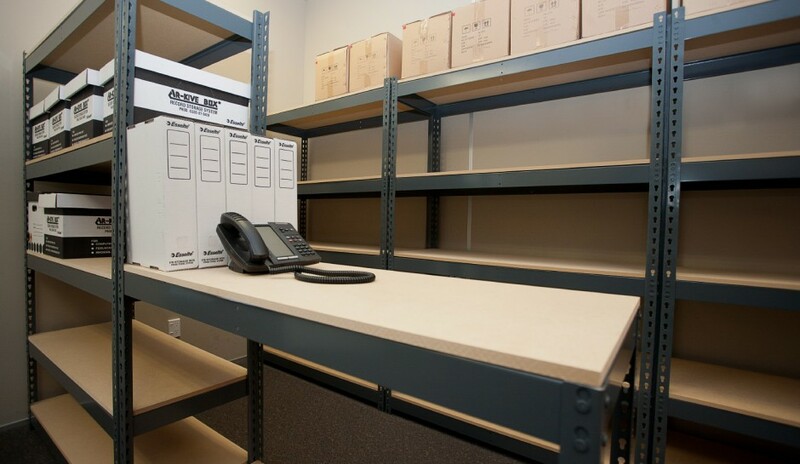 We offer an office shelving solution that is simple to assemble and looks great in an office or commercial setting. 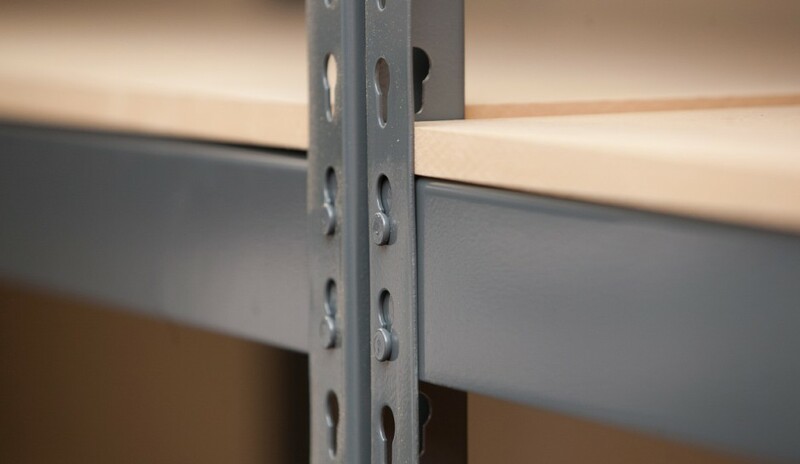 While we’ve simplified the assembly, we’ve retained the adaptability of our popular StackIt series. 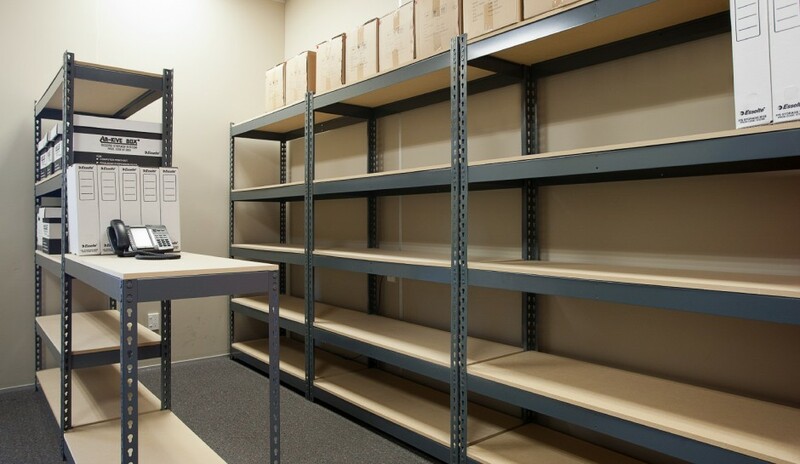 DR shelving comes in two section lengths so it can be sized to fit your office or commercial space. Should your storage needs continue to grow, simply add on an extra bay or two down the track. 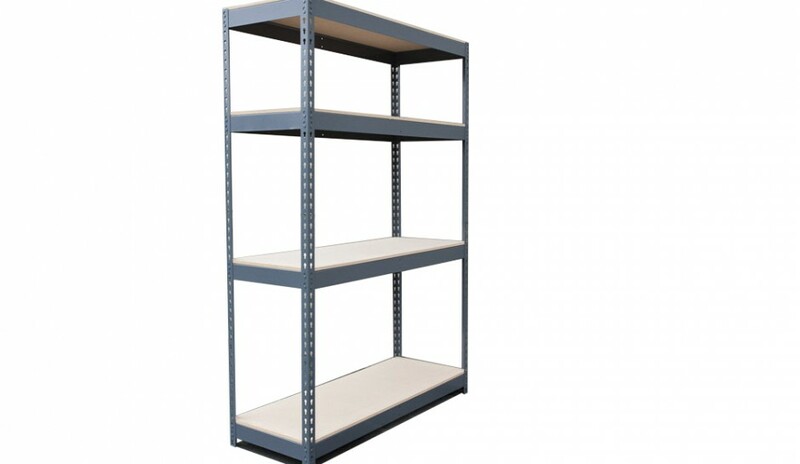 Our office and commercial shelving is made from durable powder coated steel and MDF boards, this is a very sturdy, industrial quality product which comfortably holds up to 100kg per shelf. With a smart ‘bullet grey’ finish, this product looks fantastic around the office or in a commercial environment. 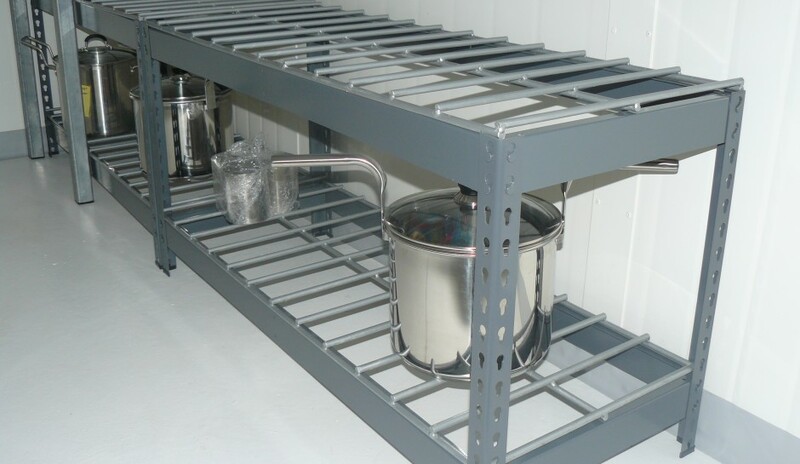 It is the perfect size for storing files and boxes and also makes an excellent home garage shelving system.